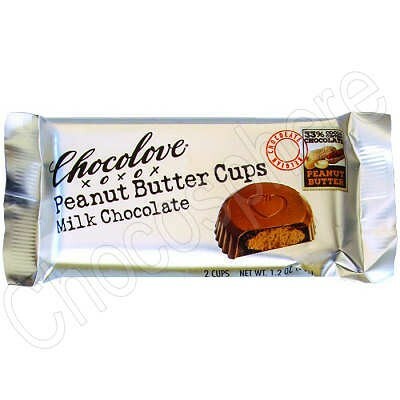 Chocolove Milk Chocolate Peanut Butter Cups. Creamy salted peanut butter in premium 33% Cocoa Belgian milk chocolate. Classic European chocolate gives way to silky smooth, real organic salted peanut butter filling. Serves up a new twist on a classic American taste. Simple, yummy, and irresistible. Net wt. 1.2oz / 34g.